You mentioned “training” in your response to T's Start-Up Inventory question. What exactly consists of your training new employees? Won’t they know how to do nails already? Please clarify. Although we plan to hire experienced nail techs, most are not completely familiar with the entire OPI line and techniques. OPI has its own procedures for application. 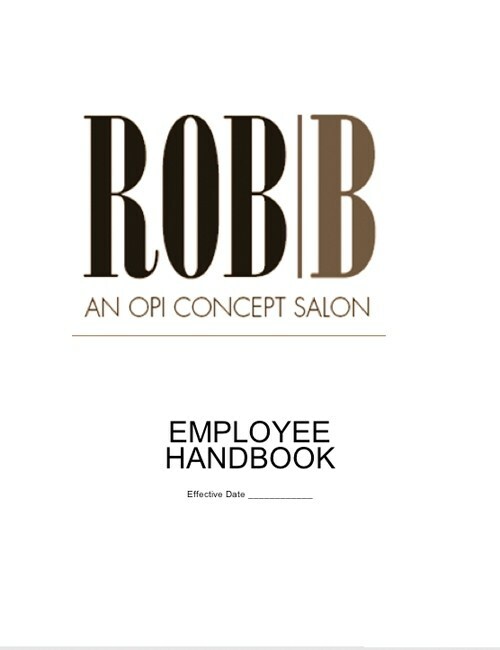 Every nail artist at ROB|B will perform services using the same technique and knowledge of products, This insures every client will have the best possible experience, no matter who her nail tech is. It's important to us that our standards are set high and our staff has the knowledge to work within those standards. With a four to six week training period, each nail tech should be completely comfortable with all aspects of our salon, products and each other. The day we open the door, we hope our first customer will feel like we've been in business for years.